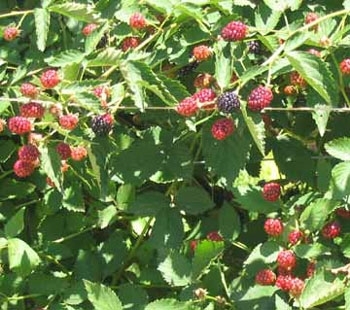 Brambles are plants of the genus Rubus, in the Rose family (Rosaceae). 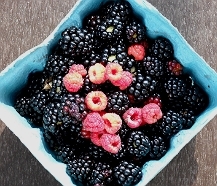 Brambles include blackberries, loganberries, and raspberries. 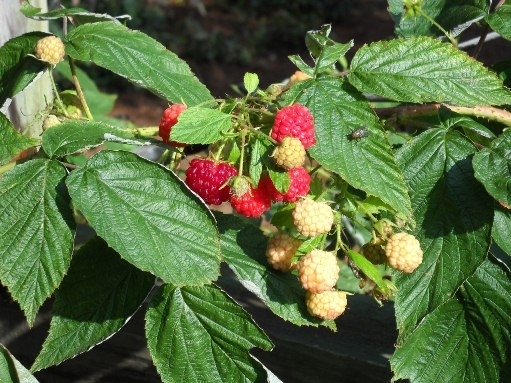 Raspberries and blackberries are becoming very popular among gardeners as they are quite easy to grow. Site and Soil*. 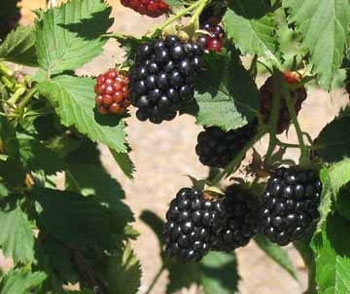 Brambles grow best on deep, sandy loam soils well supplied with organic matter. They may be grown in almost any good garden soil, provided it is well drained to a depth of at least 3 feet and has a high moisture-holding capacity. 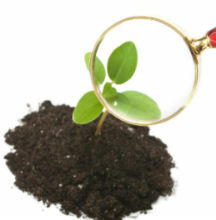 Although the pH of the soil is not critical, a range of 5.8 to 6.5 is considered optimum. Select a site where tomatoes, potatoes, or eggplants have not been grown. 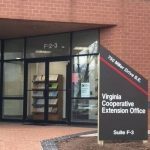 These crops often carry verticillium wilt, which lives in the soil for many years, and brambles, particularly black raspberries, are very susceptible to this disease. There are erect and semi-erect blackberries. 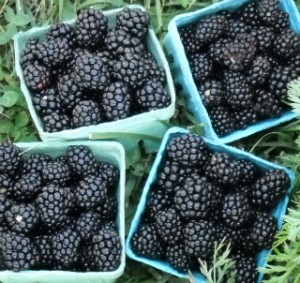 Erect blackberries carry thorns on the branches while the semi-erect do not. We have the semi-erect blackberries a the garden and cut back the old canes each year. The berries produce on second year canes. At one time we had both Heritage and Latham raspberries in the garden. We cut them back to the ground every year in late February and harvest a bumper crop in the summer. Latham is the standard, spring-bearing, red raspberry grown in the eastern United States. 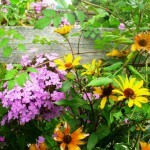 Plants of this variety are vigorous, productive, and somewhat tolerant to viral diseases. The berries are above average in size, firm, and attractive. The flavor is somewhat tart, but the quality is good. 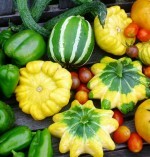 This variety ripens evenly over a long season to mid-July in Zone 5. Heritage is an everbearing red variety with crops in June and again in the fall. This variety may be annually pruned by simply mowing all tops in late winter. 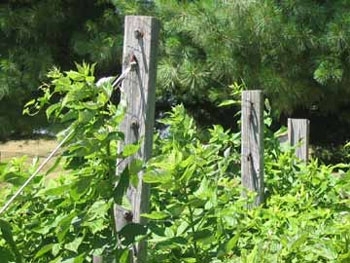 Use of this pruning technique will yield one crop in the fall of each year.